Going back to the old days with a little beauty review because this Marc Jacobs Scandalust palette is too good not to share. Some times, even though you don’t need anymore, things just stand out. It’s also good to refresh once in a while to keep your makeup up to date. Hmmm yes that’s a great excuse. 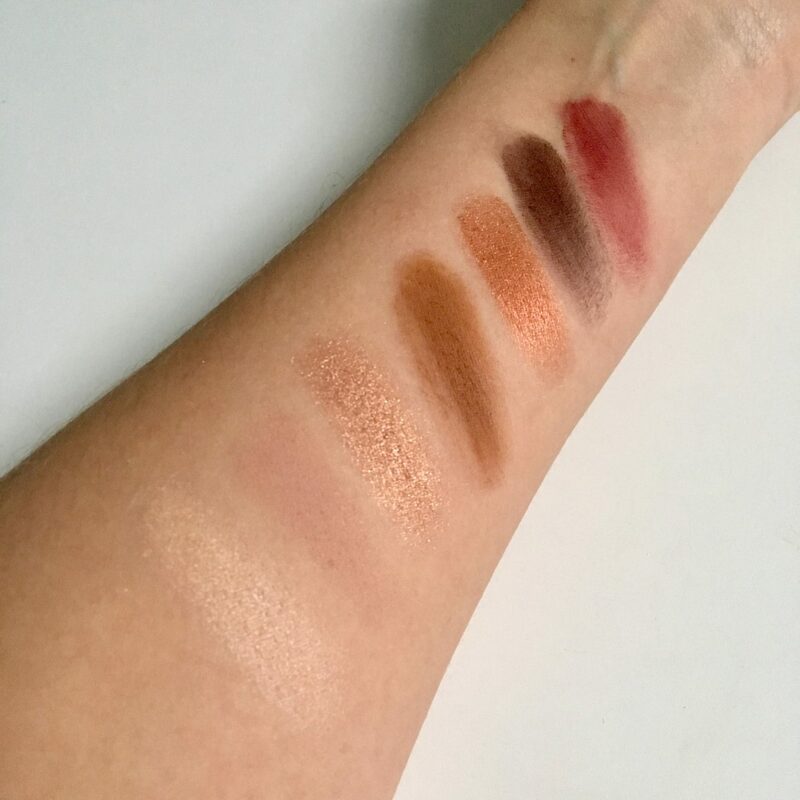 Keeping with current eyeshadow trends I jumped on the warmed nudes with red/copper tones band waggon and I’ve not been disappointed. Scandalust features 7 shades, 3 matte, 2 shimmer and 2 super shimmer. They are similar size to MAC singles maybe a tiny bit smaller. You get more than enough product because who even gets through all their eyeshadow anyway. 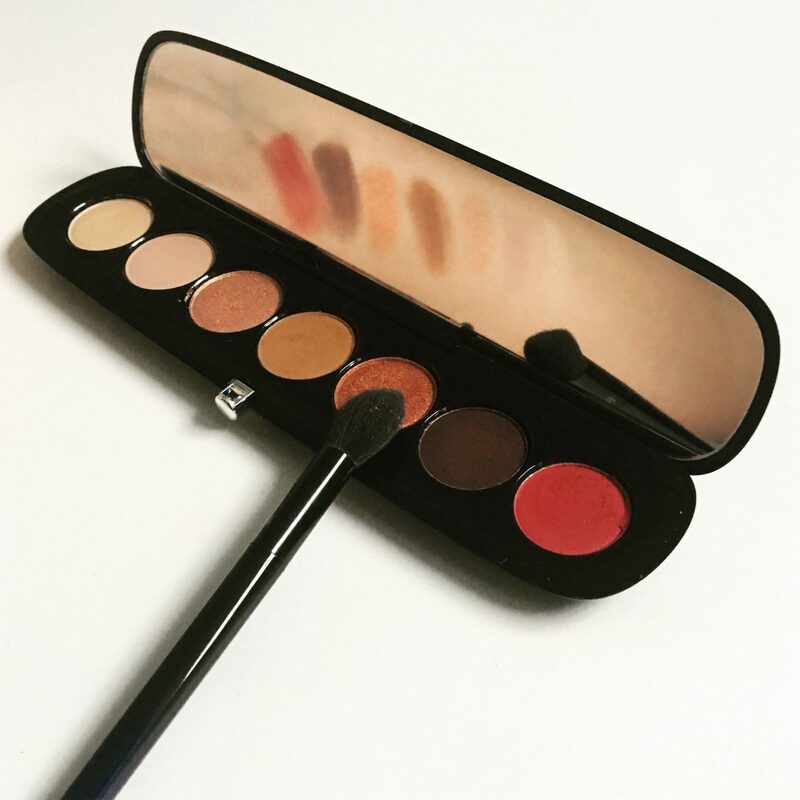 The compact is super slim and sleek, pretty to look at, and if you need the box ticking it’s definitely a travel friendly palette. It doesn’t have a mirror, not something that bothers me but it will bother some and therefore worth a mention. Eyeshadow quality trust me you’ll not be disappointed, if you are then I haven’t got a clue what you’re after.. Maybe a few diamonds in there. 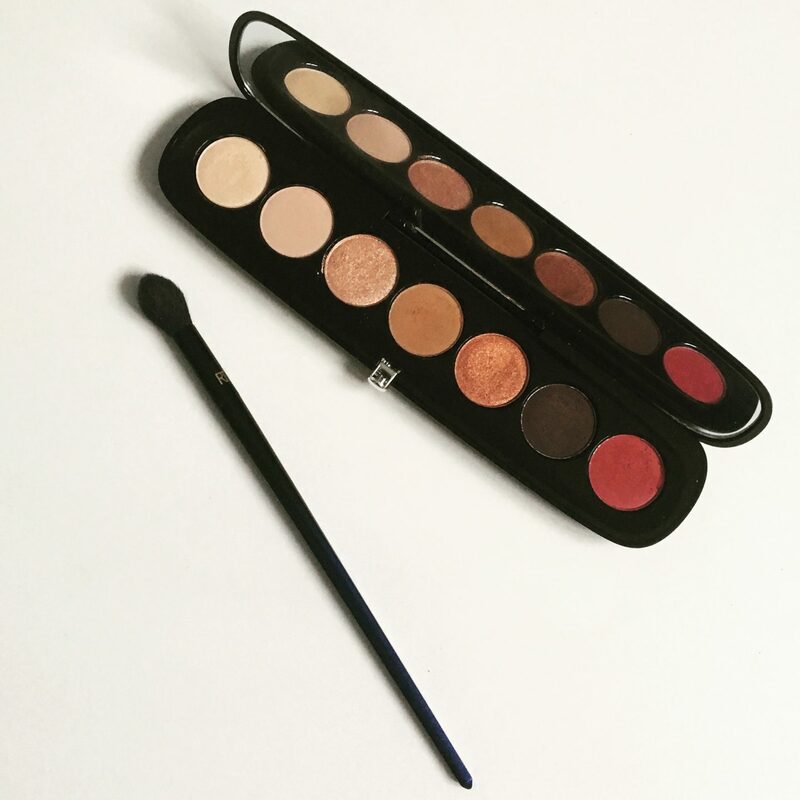 You barely have to touch the eyeshadow pan to get colour, they are soft and creamy to touch. There is plenty of pigmentation and it transfers onto the eyes the same colour as you see in the palette, no wishy washy nonsense. As long as you tap your brush a little I’ve not experienced fall out. After all it’s a pain in the bum having to sweep colour off from under your eyes. I don’t know about you but I’m tired enough with out adding shadow to my dark circles. Blending is a breeze, there’s no patchy mess because you’ve tried to seamlessly buff the edges. The shades blend to look beautiful whilst allowing you to see the shades. They wear well but if you’re oily I would always wear an eyeshadow primer. Greasy lids will always try to slide your makeup off no matter how tough it is. Let me know if you’ve tried this palette and your thoughts and as always leave me any recommendations in the comments, you can never have too many.